The Metrapanel construction system changes the way things have always been done – from design to project management. 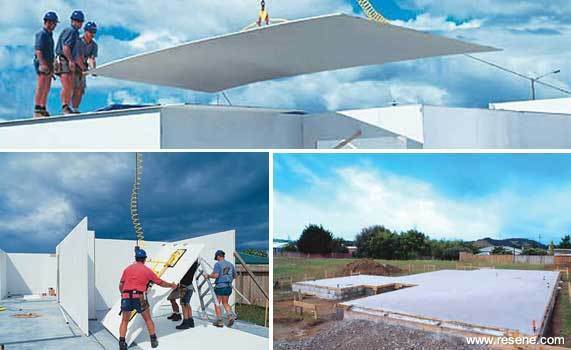 It is made of solid fine-surface particleboard 35mm thick wall and 25mm thick ceiling panels, 7.350m long and 2.45m high, pre-cut to simplify and speed up construction. Metrapanel is used for residential and commercial projects including schools, hospitals, offices, multi-storey apartments, retirement villages and residential developments. At the heart of the Metrapanel construction system are moisture resistant boards made from engineered wood fibres and flakes, manufactured by The Laminex Group and coated with two coats of Resene True-Prime offering protection for up to 30 days weather exposure during construction. The pre-cut Metrapanel walls and ceilings are delivered by long-reach hiab truck and placed into position on site. Roof trusses are fitted and clipped to the ceiling panels from above. No ceiling fixings are required from inside the house, which means no more nail popping and much less stopping offering a smooth continuous finish. The Metrapanel panel goes up quickly and efficiently and can be approximately 30-50% faster to build than with traditional construction methods. 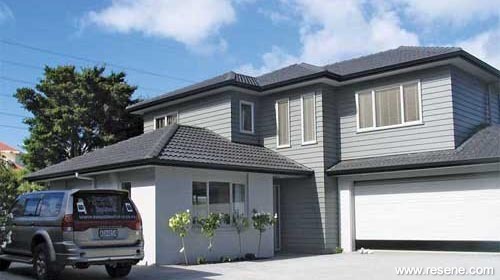 The Metrapanel construction system, including the panel manufacture process, the pre-cut factory operation and the Metrapanel design and construction manual, have been fully appraised by the Building Research Association of New Zealand (BRANZ Appraisal Certificate No. 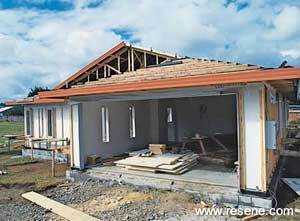 364,2007) The Metrapanel systems when constructed by a licensed Metrapanel builder will meet the provisions of the New Zealand Building Code[B2.3.1(a)] of 50 years durability. In the residential market alone, Metrapanel panels finished in Resene True-Prime now adorn hundreds of homes.